Yesterday I finished reading this little book (127 pages). 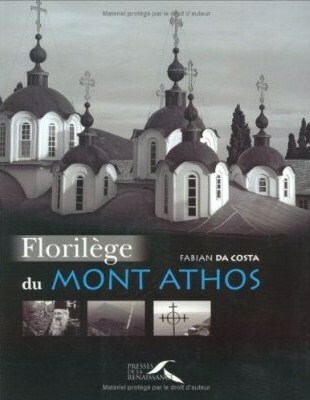 Unfortuanately it is only available in Greek and Dutch, but worth reading especially for pilgrims who will visit Mt. 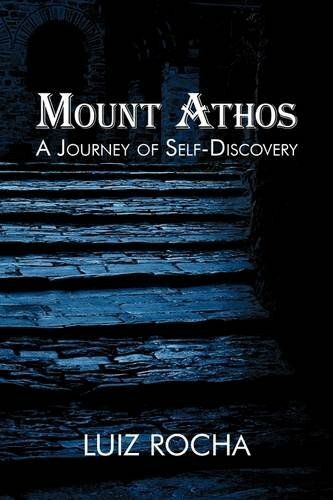 Athos for the first time. 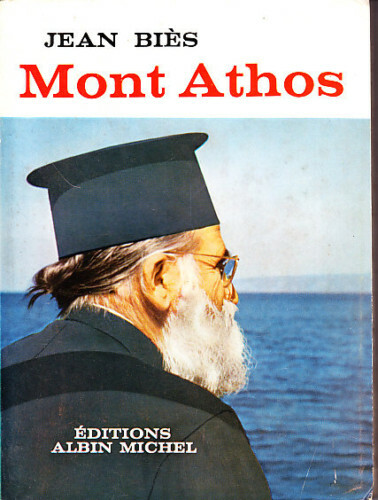 The Greek Theologian Vasilis Stergioulis visits Athos in 1985, departing from Ierissos. He describes almost every monastery they pass or visit. The trip goes all the way around the mountain, back along the SW-coast, to Ouranopolis. 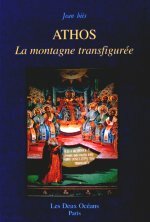 The book gives – in short – a lot of basic information, but also some interesting information about the Orthodox religion and its customs/rituals. The black and white pictures are of poor quality, but they fit the text and they make this book easy to read. It is published in-house in 2009 by mr Emiel-Andre Vanrysselberghe from Belgium and you can buy it here. Our reader Joseph showed us this book from Scott Cairns, published in February 2007. I wonder how the book will be, it is on my wish-list. For a poem of Scott Cairns see 1033. 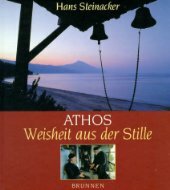 Here some more books, starting with an “exotic” book about Athos, written by Kazuhide Kawamata from Japan, and some titles in German. 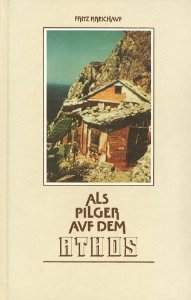 2nd book: Fritz Kreichauf, Als Pilger auf dem Athos (184 p.), 1984 and 3th: Hans Steinacker Athos, Weisheit aus der Stille (47 p.), 2002. 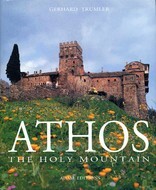 Gerhard Trumler: Athos, The Holy Mountain (196 photos) 1990, made by the famous Austrian photographer. 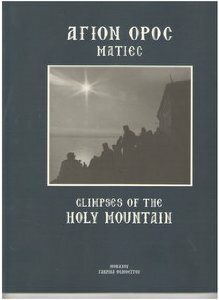 This book “Athos the Holy Mountain” was recognized by the President of the Republic of Athos as the most beautiful photo book on the Holy Mountain in the 20th century”. 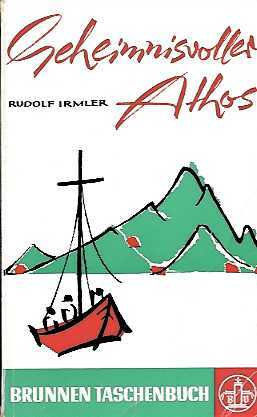 Rudolf Irmler: Geheimnisvoller Athos (140 p.), 1965, Switzerland.